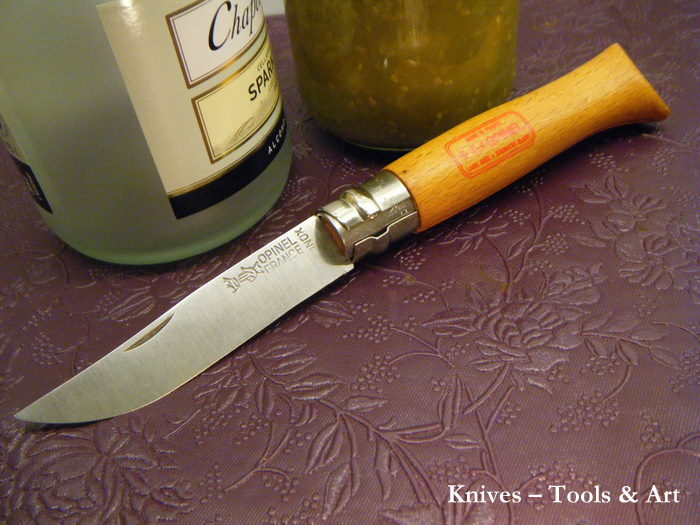 The history of the traditional French knife Opinel starts in the 19th century. The folder series No 1 to No 13, also called Tradition, is built on a simple and stylish concept. The knives are usually delivered with a carbon steel blade or as on this one; a stainless steel blade from Sandvik. The blade locking devise consists of a robust safety ring that by turning locks the blade tightly. 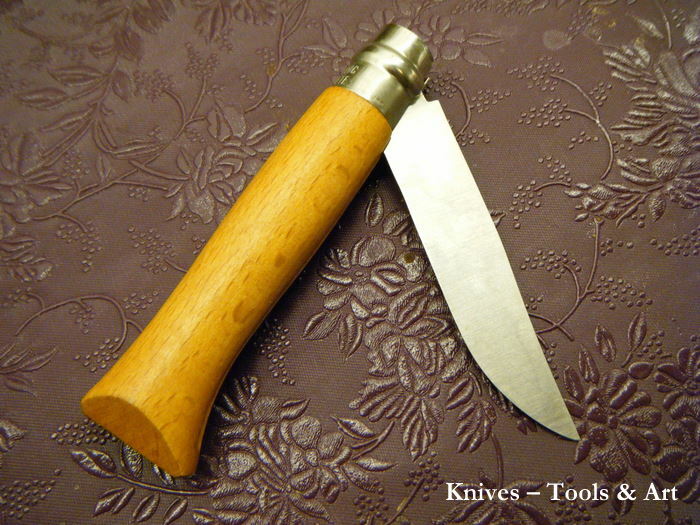 The Opinel is, if you ask a Frenchmen, of course the ultimate allround knife, just as we Swedes love our Mora knives. I especially appreciate the Opinel knife's light weight and thin blades. If you want to read ore about Opinel and their knives; take a look in Vapentidningen no 1 - 2015 in wish I have written an article focusing on the Opinel history and the Tradition knife series.